Romanian patients with primary immunodeficiencies (PIDs) have continued to face severe difficulties with regards to access to Immunoglobulin (IG) therapies at the start of 2018 . IG therapies had not been supplied in Romania for several months due to the introduction of a clawback tax which resulted in plasma products companies stopping to supply IG therapies in the country. As a result, PID patients have been faced with shortage of immunoglobulin (IG) replacement therapy, making them vulnerable to life threatening infections and tragically leading to the death of one PID patient late last year. Although an exemption from the clawback tax has since then been granted for plasma derived medicinal products which include IG therapies, it is IPOPI’s understanding that supply of IG therapies has only slowly started to resume in Romania in recent weeks, and that it may take several additional months until the situation gets back to normal. This issue was recently addressed at the Stakeholders Meeting organised by the Plasma Protein Therapeutics Association (PPTA) in Budapest back to back with the International Plasma Protein Congress. During the meeting, ARPID and IPOPI called for immediate action to be taken and it was agreed that the situation in Romania needed to be tackled urgently to ensure patients relying on IG therapies and other plasma products can have continued and stable access to their life-saving treatments. IPOPI is monitoring the situation closely and working in collaboration with ARPID to ensure the situation gets fully resolved. 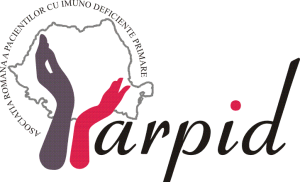 ARPID, the Romanian PID patient group, has been voicing the needs of the patients on the newspaper, tv and on the radio as well as in meetings with the Ministry of Health. Additional efforts are planned to help solve this serious issue. ARPID has recently applied for funds from Timotion, a Romanian runners’ event that collects funds for charities, and is hoping to get sufficient funds to hold a summer camp for families affected by PIDs, after such a difficult year.